This is a work in progress, please report any bugs and/or crashes here. By downloading this you participate in open alpha testing, meaning that functioning software is not guaranteed. Here is a virus scan for you crazy people. Creative Mod Reloaded is a Mod for Towns that allows you to build without any restrictions! This is the new release of the famous Creative Mod that was discontinued as of the 12th of October 2012. Image of the installer. 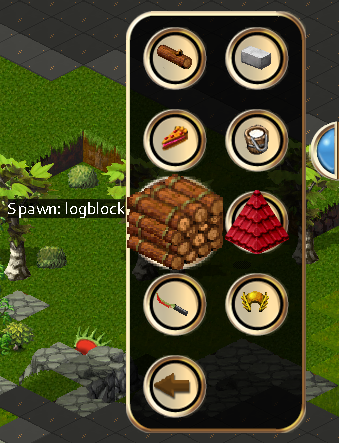 Item spawning menu. Entity spawning menu. - Free and instant crafting, building, tiling etc. Image of the options menu. Probably lots of them, sadly I haven't found them yet, will you help me? 1. Download the latest version, found at the end of this post. 2. Place the contents of the .zip file in your main Towns folder* (not the mods folder). 3. 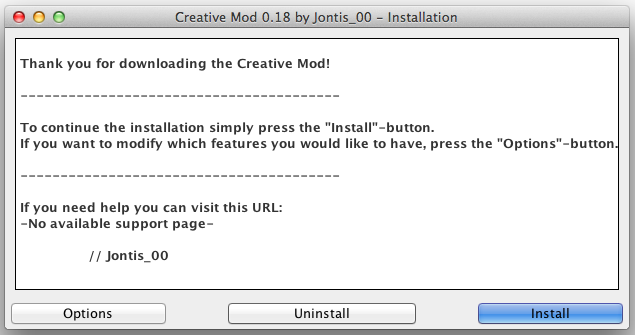 Launch the CreativeMod.jar file. (4.) Press the options-button and choose what features you prefer. 6. Close the installer, run the game and get creative. *If you installed Towns via Steam your Towns folder can be found by going to Library -> Right-click Towns -> Properties -> Local Files -> Browse Local Files..
Alpha Creative Mod Reloaded v0.18 this is a alpha version, not recommended for inexperienced users. Last edited by Jontis_00 on Sun Mar 30, 2014 8:42 pm, edited 3 times in total. Thanks so much for the update on this mod, Jontis. It's breathing some life back into Towns. voodoodad wrote: Thanks so much for the update on this mod, Jontis. It's breathing some life back into Towns. Jontis every time i try to download this it says: ERROR: [09:50:36] data\actions.xml (The system cannot find the path specified) do you know why? Metro1234 wrote: Jontis every time i try to download this it says: ERROR: [09:50:36] data\actions.xml (The system cannot find the path specified) do you know why? Sounds like you put the files in the wrong folder, could you upload a picture of your Towns folder and it contents? Jontis_00 wrote: Sounds like you put the files in the wrong folder, could you upload a picture of your Towns folder and it contents? Sorry I don't go on forum sites often, how do I do that? http://www.imgur.com is a great site for uploading images, then you can link them here. 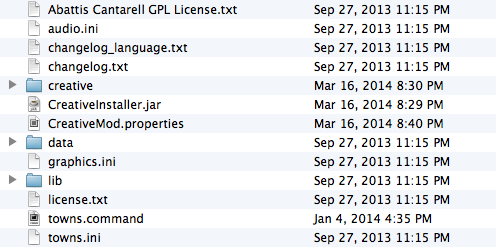 But you don't have to do that, could you list a few of the files/folders in your Towns folder? The thing is there are 2 Towns folders, one called .Towns and one called Towns I believe. Can't view your image, but that is not needed. Did you install Towns via steam?